Are you educating for resilience? Join Sherri Fisher and top resilience researchers at the University of Toronto Schools for the Educating for Resilience Conference. We’ll be both live in Toronto and simulcast on the web to a world-wide audience. Dr. Tayyab Rashid and Dr. Afroze Anjum, both researchers and school psychologists, who have successfully implemented this research in school resilience-building programs. Sherri Fisher, MAPP, MEd, education management consultant and coach, workshop facilitator, speaker and co-author of Smart Strengths, will share applications that both build resilience and boost academic achievement. Dr. Greg Wells, scientist and exercise physiologist will highlight mental skills, physical techniques and nutritional tools that help people recover faster, handle stress more effectively, perform under pressure, and ultimately do better. This conference will teach you how to build resilience in your school and classroom. 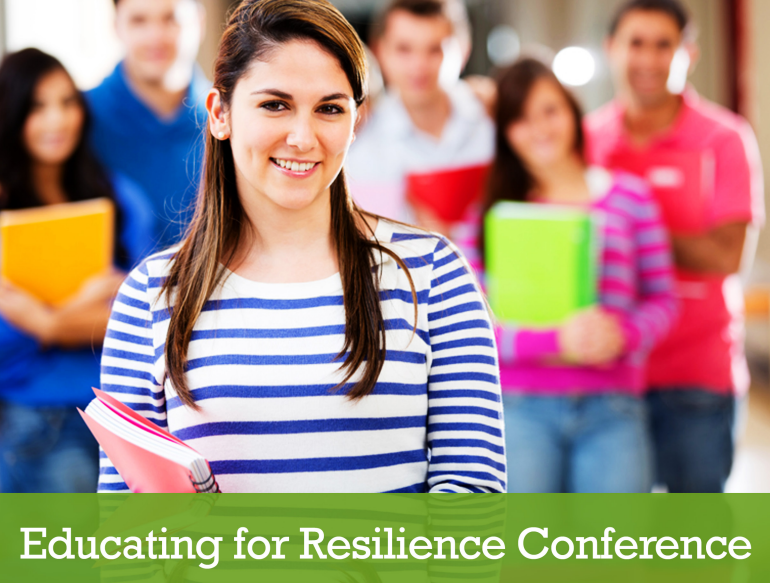 You’ll learn strategies for promoting resilience in youth, reducing depression, and building positive school climate. Walk away with practical strategies and activities you can use in the classroom, in your school, and with your family.